Unfinished construction-sites don't always create the best atmosphere, and might even spark a couple public complaints. 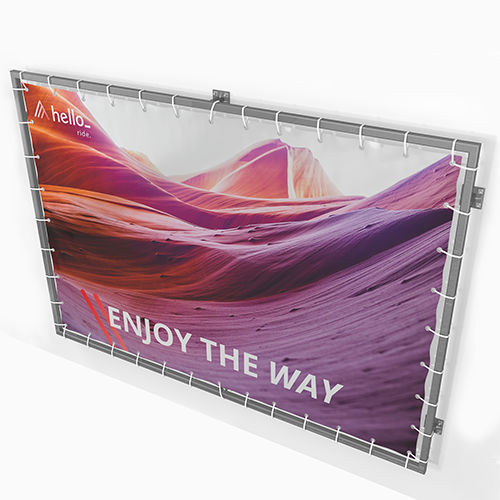 Don't wait until your back is against the wall, and avoid the hassle all together with Helloprint's custom fence banners. 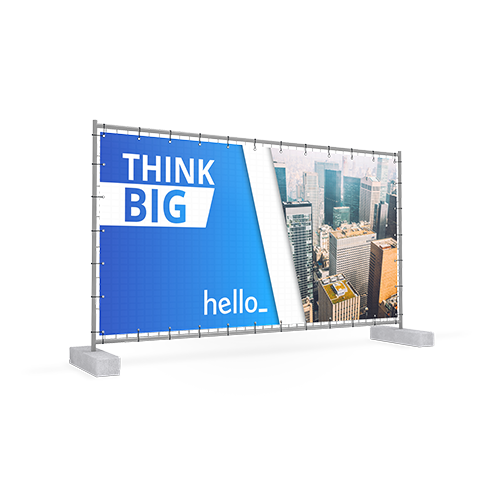 Printed with fire retardant material; boost your brand recognition in sunshine and rain, 24 hours a day, and keep construction under wraps until it's ready to be revealed! To withstand rain and wind these banners have hems by default. 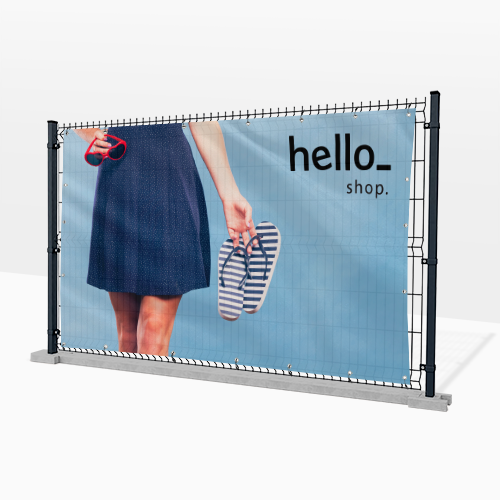 How are Construction fence banners finished? 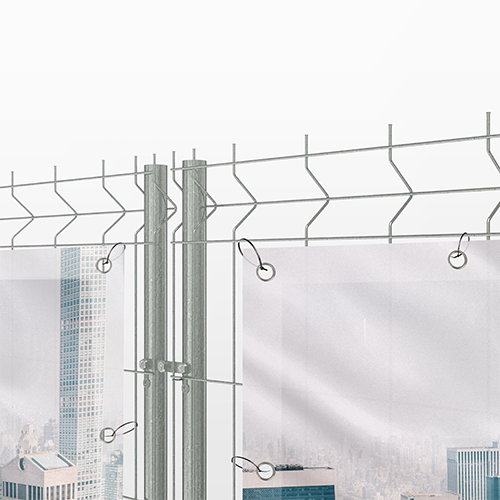 Will my Construction fence banners be printed on both sides? Note: Elastic bands or tiewraps are not included. For the delivery of your construction fence banners we use multiple carriers. Because of the highest reliability, in most cases we use UPS or DPD. 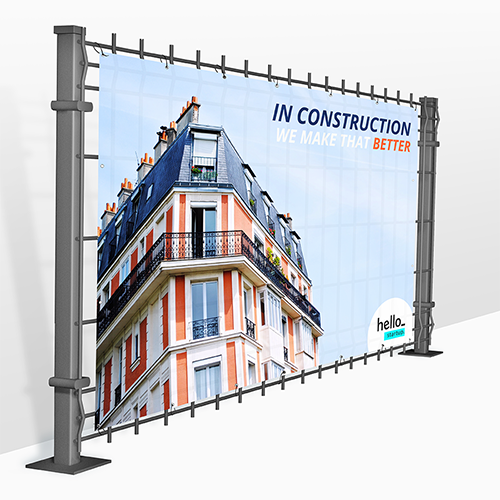 The construction fence banners that is chosen in most cases can be selected via our website. No, the Construction fence banners is not printed on both sides.